Ancient writings and hieroglyphics are full of images of people swimming… at first in lakes, rivers and seas. But then human ingenuity devised a way to contain water in large, water-tight pools specifically for the purposes of bathing and exercise. 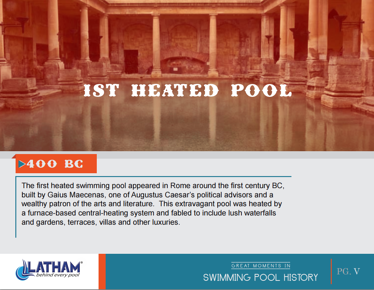 Take a dive into this free e-book for a fun look at the history of the swimming pool. Fill out and submit the form below and have this e-book delivered right to your email inbox!